Follow us on Facebook to learn what is happening in the guild. 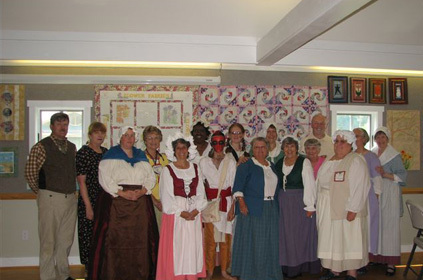 The Tavern Quilt Guild was established in 1996 by Anna Holland and several local quilting friends under the sponsorship of the RHHT Foundation Inc. Meetings are held the first Tuesday of every month at 10:00 AM in the Transportation Museum at the Historic Heathsville Tavern Square. Programs consist of speakers on all aspects of quilting, and workshops to learn new skills or reinforce those we already know. 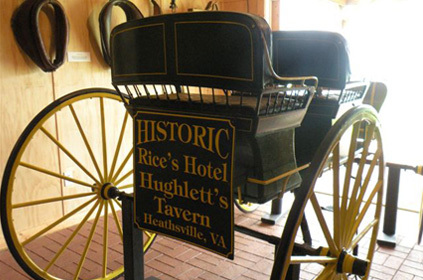 To promote and preserve the art of quilting through the education of ourselves and the public; remembering our heritage through our relationship with the Rice’s Hotel/Hughlett's Tavern. We hold a quilt show and sale every other year; we host a quilters retreat annually; we have a large library of books and DVDs on quilting; we have a monthly newsletter; we participate with the other Tavern guilds in educational programs at the Tavern, and we demonstrate our quilting art every opportunity to educate the public. 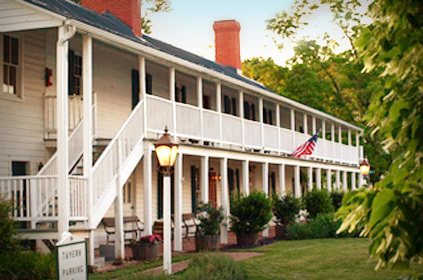 The 2017 Tavern Quilt Show and Sale will be held Saturday, April 15th on the grounds of Rice's Hotel / Hughlett's Tavern in the "Transportation Museum Building". Hours are 9 a.m. to 4 p.m. -- You'll see beautiful quilts and quilted items made by members of the Tavern Quilt Guild, many of which will be for sale. 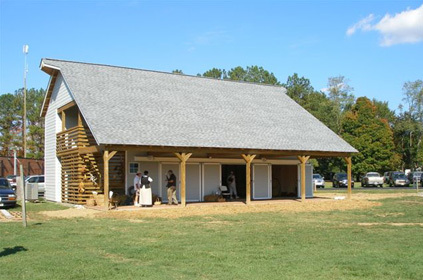 While you're here, visit the season-opening Heathsville Farmers Market, peruse the special Earth Day Celebration, enjoy the Northern Neck Wine Fest, and check out the new Heritage Arts Center, located inside the old Tavern itself. It's going to be a big day in Heathsville! The Quilt Guild's popular "Bingo for Quilts" will take place on Saturday, August 19, 2017, starting at 1:30 p.m. in the "Transportation Museum Building." Enjoy an old-fashioned game of bingo; all the prizes are quilted items made by members of the Tavern Quilt Guild. 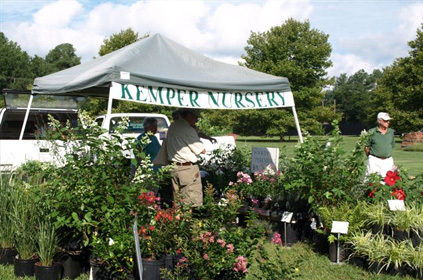 Come early for the Heathsville Farmers Market, which starts at 9 a.m. Food will be available prior to the start of bingo. Quilt Guild Meetings: First Tuesday of the month, 10:00 am, in the "Transportation Museum Building"